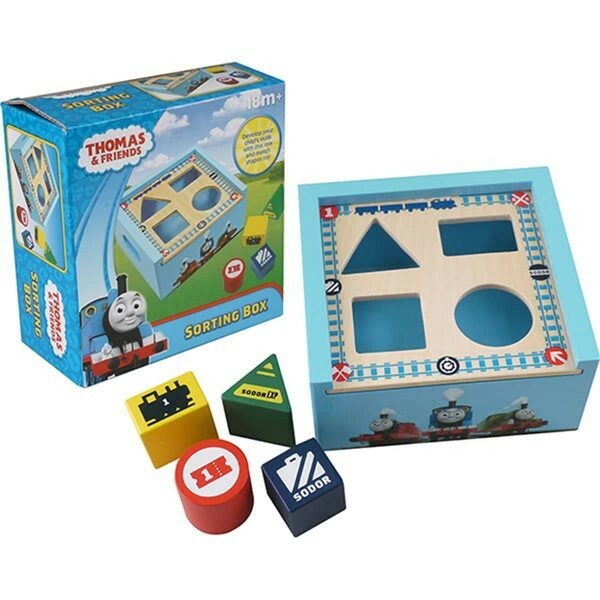 Let's have fun learning about shapes, colour and texture with Thomas the Tank Engine that will make children love and enjoy for years to come. This wooden shapes sorting box featuring Thomas The Tank Engine Character encourages toddler to explore and learn about colour, shapes and texture. Select a shape and place it to the match hole one by one. Slide the lid to open all shape inside to take them out and lets play all over again. Put inside and keep all shape blocks into the sorting box that will make no messy and easy to storage. The shape box made from real wood that will make it's quality and durability will keep for years long.